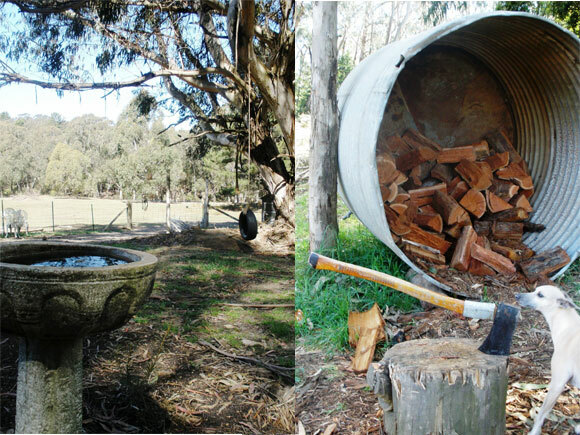 Braedon Cottage has been carefully built from Western Red Cedar weatherboards in Early Australian Settler’s Style. 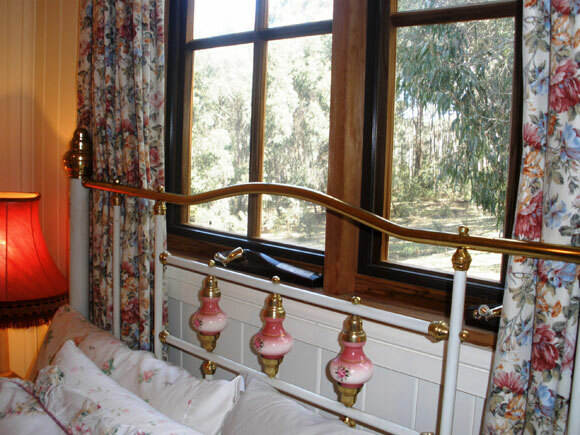 Braedon Cottage stands amongst the eucalypts in a secluded corner of Morvern Valley and is very private, with it’s own parking area. 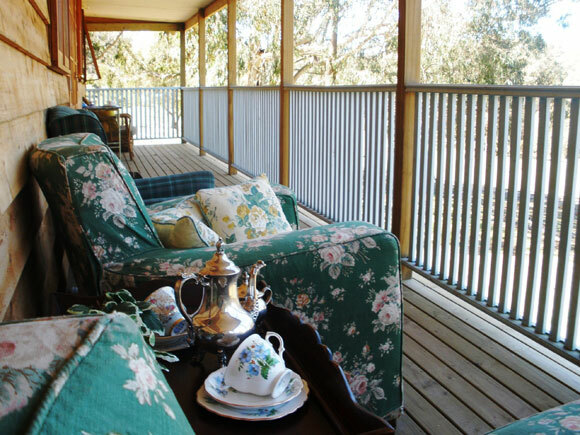 A lovely long verandah directly overlooks our Alpacas, Sheep, Pony paddocks. 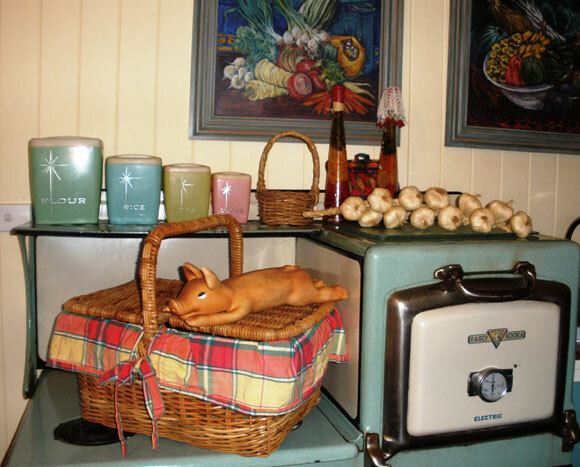 'Fudge' the palomino miniature horse comes to see the guests in Braedon Cottage each and every day. His mini horse friends ‘Chocolate’ and ‘Toffee’ won’t be far behind! 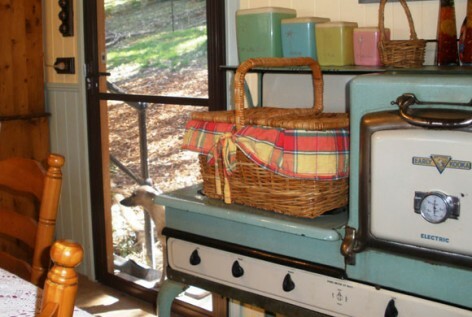 Cook in a functional kitchenette on a genuine Metters 'Kooka' stove from the 1930's – it has a 3 element cooktop with small oven. 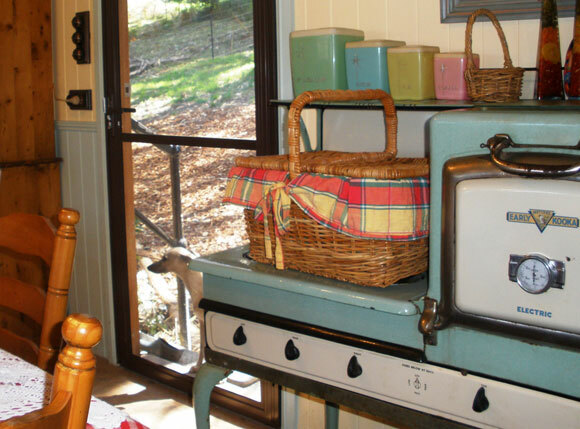 There is a toaster, kettle, coffee maker, lots of cookware, utensils, crockery, cutlery, microwave, fridge/ freezer. 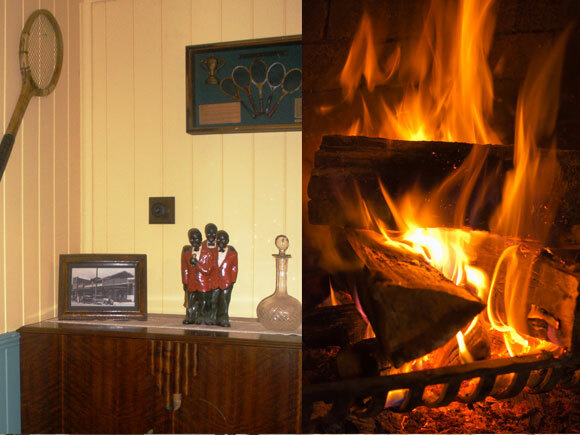 Open Log fire with fire safety screen - toast marshmallows for fireside memories. In the entertainment cupboard there are many dozens of DVD’s, videos, CD's, books, toys, & board games for all ages. 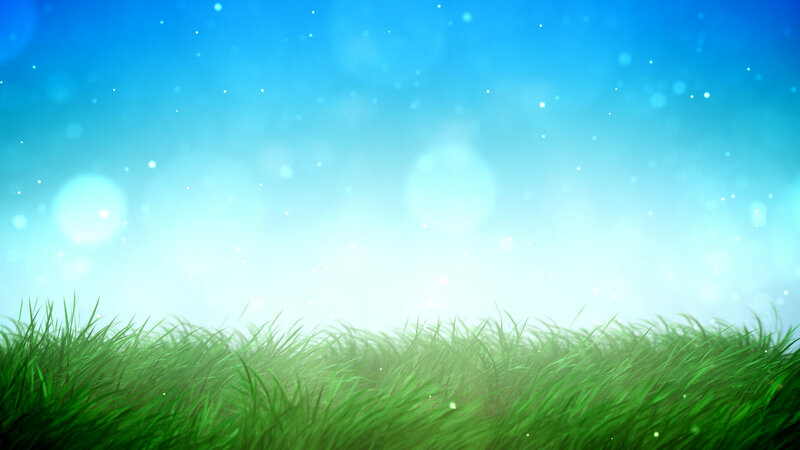 Enjoy some simple pleasures together. 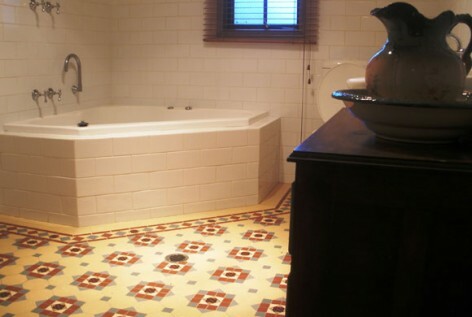 A large luxury bathroom with double spa and a heat pump for long enjoyable spas. 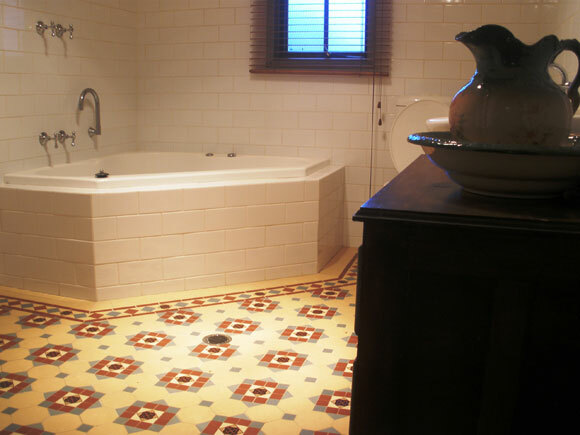 Fabulous retro feel with tessellated floor tiles. 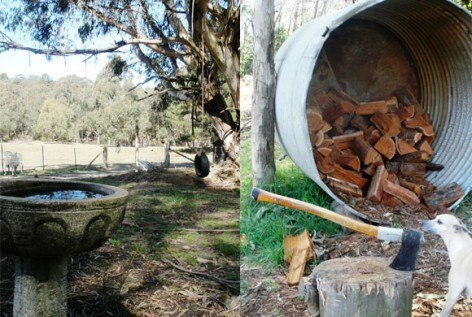 A washing machine is also provided in Braedon cottage, a movable clothes line, as well as an ironing board and iron. 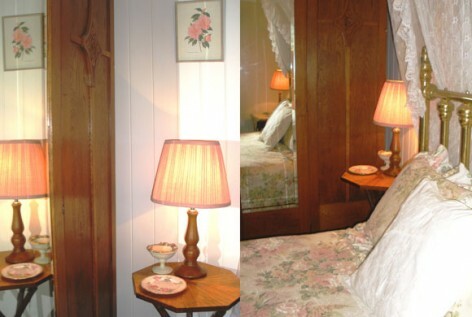 This is the main ‘rose’ bedroom in Braedon Cottage. 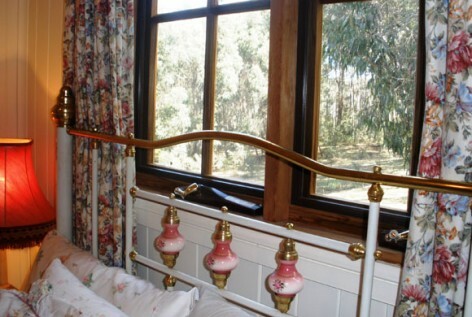 It has a wonderful old brass queen bed, & lacy mozzie net. 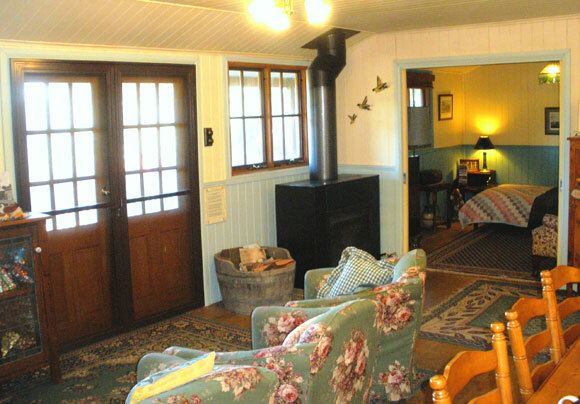 All three bedrooms have electric blankets, quality mattresses, Tontine pillows, handmade patchwork quilts, and fluffy feather doonas. 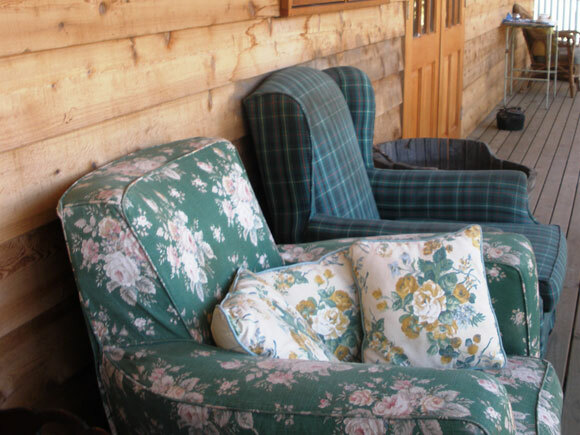 In Braedon Cottage there is a picnic basket and a tartan rug too! Braedon Cottage is in a green & leafy location at Morvern Valley - situated amongst huge ‘Namatjira’ gum trees. 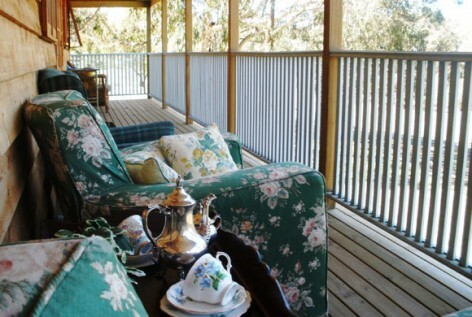 Your verandah overlooks your children’s play area. 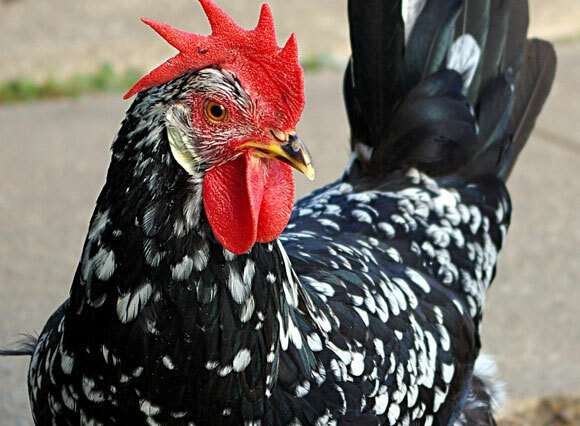 Collect eggs from your very own chicken coop with giant Croad Langshan chickens, Anconas, and New Hampshire layers. We try to have eggs all year around. Freshly laid with both brown and white shells - but all with really yummy yellow yolks. 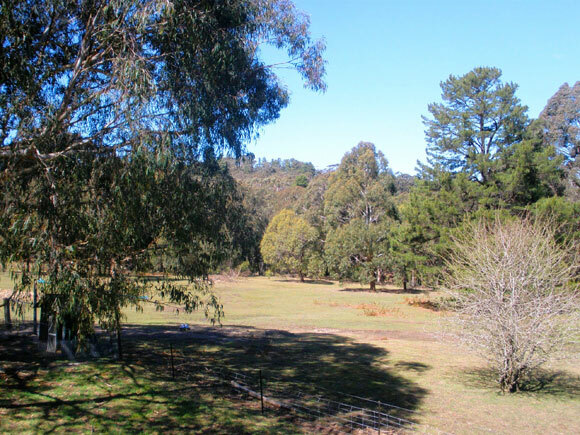 Don’t forget to go for a walk and explore the 25 acres of Morvern Valley, there is a little creek and picturesque rock formations - many perfect spots for a picnic. 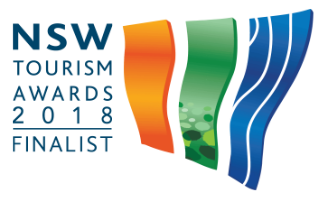 Look out for wild flowers, tree ferns, echidnas, wombats, lyre birds & wallabies. 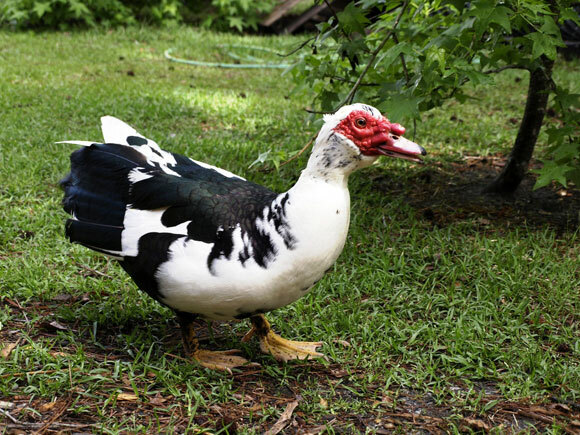 Braedon Cottage’s coop has a pair of Muscovy ducks called ‘Mickey’ and ‘Minnie’. 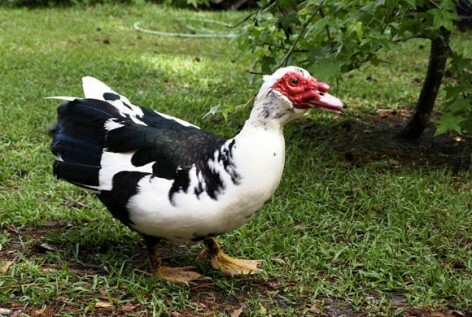 They are black and white large ducks with red masks for disguise! 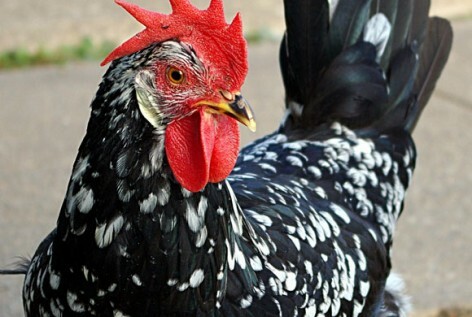 Minnie is friendly and is a layer of large white eggs – duck eggs make great custards & quiches. This photo looks through the main room into the third bedroom - which is a multipurpose room. 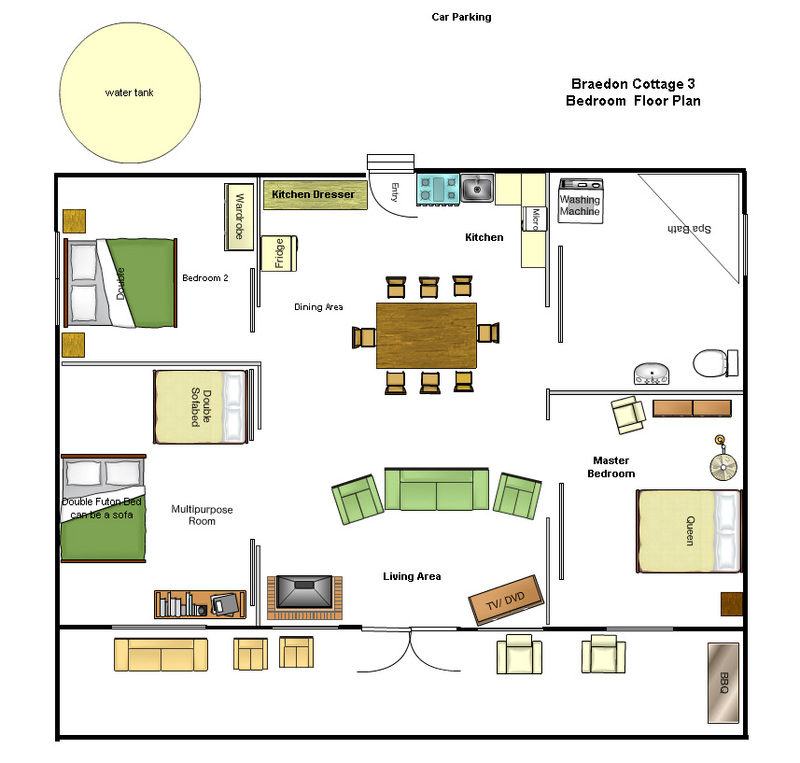 Ideal for those who do not need a third bedroom – these families can use this room for a play room, or reading while others watch the T.V. There are three bedrooms in Braedon Cottage - a queen in a bedroom, one double in the 2nd bedroom (pictured here) - also a double and a futon in the 3rd bedroom, the futon can be used as a sofa offering a more flexible living space. 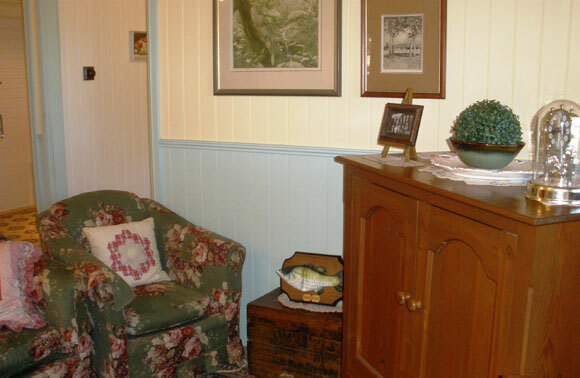 Braedon Cottage has been built with your privacy in mind, you cannot see the Original Homestead or Alecia Cottage – there is a BBQ on the verandah to cook those lovely fresh eggs whilst watching the daily routines of all the farm animals! 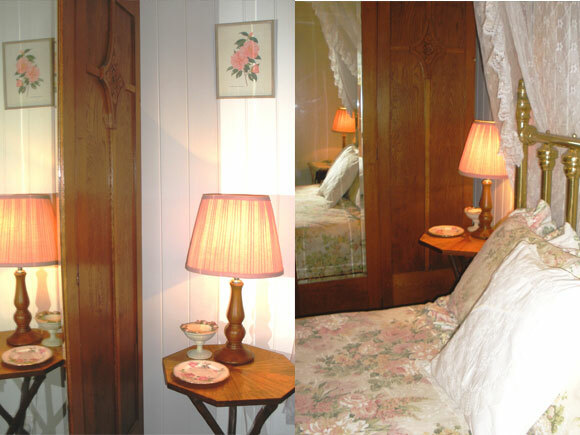 The second bedroom is a double, and is a romantic brass bed topped with a patchwork quilt. 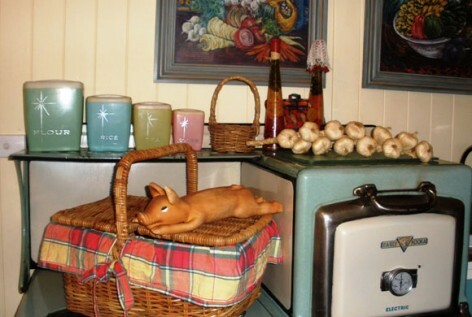 There is a collection of teddy bears next to the antique shabby chic wardrobe. 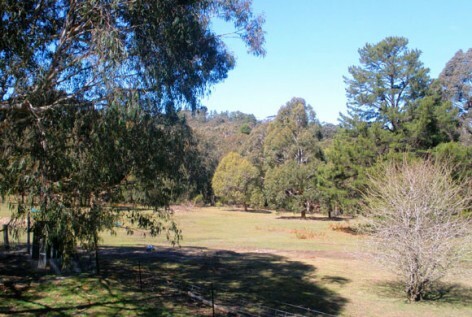 The outlook from the window is natural Morvern Valley bushland. 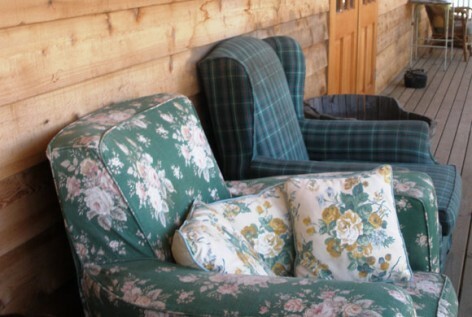 The lounge room has a genuine antique lounge covered in Sanderson ‘cabbage rose’ fabric. 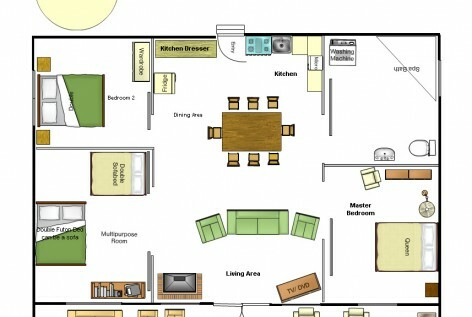 Television reception is excellent and there is a stereo, DVD and video unit for your enjoyment. 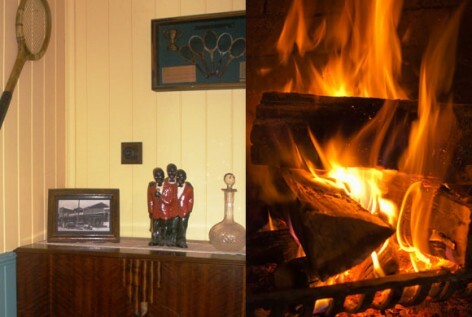 A large Jetmaster Open log fireplace completes the cosy setting.